The professional bio is a powerful career building tool. A crucial element of your LinkedIn profile, Facebook company page, Twitter summary, professional website and promotional materials, your bio is your first opportunity to impress potential employers and clients. 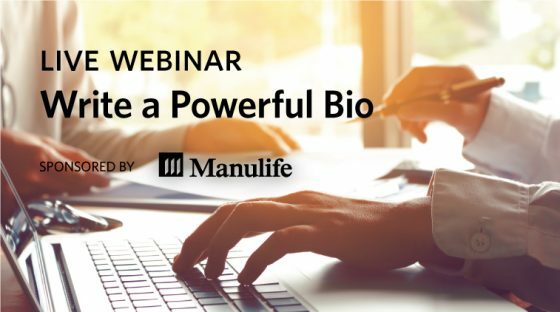 In this webinar you will be guided through a simple process to create a powerful professional bio that you can adapt to multiple platforms. Have your pen and paper ready when you log on. By the end of the session you will have a completed draft ready to go.